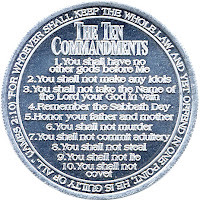 What does this Ten Commandment coin have in common with actor David Boreanaz? Probably nothing much. One is of metal while the other is of flesh. One represents total righteousness while the other does not. One bears the gospel message (on the other side) while the other may possibly not. Having sensed this possibility, I saw fit to make sure that the coin and the actor have something in common: a shared ownership with each other so the two may be one in bearing witness to the gospel in their bodies. While working on an episode of the TV show Bones on April 15, 2008, I met David at the craft service station outside the diner set on the 20th Century Fox Studios lot. As he was munching on some pasta, I was able to get his attention with a brief greeting. I wanted to get the gospel message to the actor while the brief opportunity was available. So I handed him a gospel tract in the form of the Ten Commandments coin, as depicted above. "What is it?," the actor asked curiously. I replied, "Oh, it's a coin with the Ten Commandments on it. It has a good message." "Ah, Ten Commandments. Thank you very much." With that, Mr. Boreanaz pocketed the coin and walked back to set. I don't know whether he read the message on the coin later on or if it impacted his spiritual stance. But it's always an easy, if not fun, way to get the gospel message across to someone if they are on the run. And if the Lord God is really working on your side, the gospel tract alone can bring the recipient to salvation. It has happened before in the past, and continues to happen sporadically in this day and age. As evangelist Ray Comfort demonstrated in his Season 2 Way of the Master titled Gospel Tracts, you can reach sinners in multiple ways. Try open air preaching like the apostles did in their days. If you can't open air preach, then start up a conversation with someone and share the gospel message with them. If you can't talk to someone, then hand them a tract as they are on the move. If you can't hand a tract to someone, leave it somewhere random so someone can pick it up and read it. We must take advantage of every opportunity God gives us to share the message of eternal life with the world around us. Tracts can a huge difference in the process. It is one of many mediums God blessed us with in this century to spread the gospel across to a lost sinner. Back in the old days, Christians didn't have the printing press or media to afford them such pleasures of spreading the gospel rapidly, effectively, and creatively. Now that we do have such, evangelism has been made all the more exciting, with new novelties giving us new opportunities and options to work with. 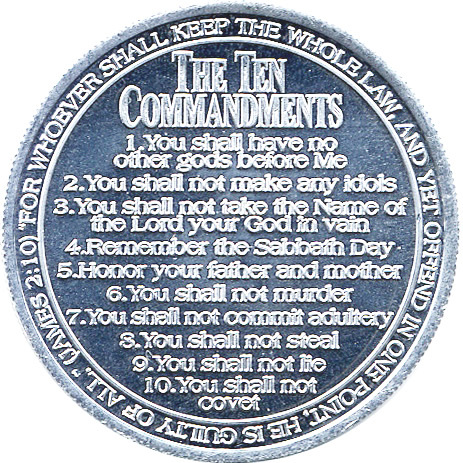 If you want to know where to find this Ten Commandment coin, it is one of the unique tracts sold in the Living Waters Ministry Store: http://www.livingwaters.com/. You can order them, get one for yourself, and pass them out to people you meet everyday. They would surely serve as great icebreakers to start conversations with unbelievers. So get some coins and start the good news to others. Someday you might run into a David Boreanaz yourself! In such case, you need to have your lucky coins ready! In the meantime, let us pray for the salvation of David himself. 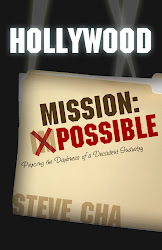 Let us pray that he will reborn with the Holy Spirit and will be a faithful soul winner in tinsel town to God's glory!